Kmart employment applications may be found online but people looking for printable forms won't find access to them on the Internet. Visiting the human resource department or Service Desk at a local store is the best way to find an application to fill out by hand. 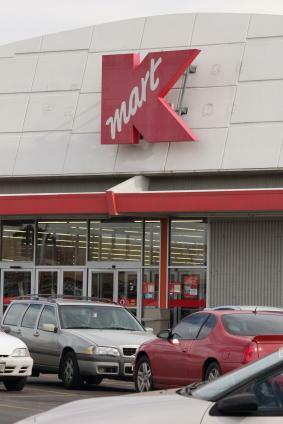 Kmart job application forms may be filled out online for convenience. The process begins with visiting the Sears job website to fill out forms in English or Spanish. The site takes visitors to Sears, a popular retailer affiliated with Kmart. Your first step is to find the job opening you want to apply too and then you simply select that job and hit the apply button. The application asks a few questions during the process to determine if applicants qualify. In some cases, employment may be available for applicants who meet the minimum qualifications for employment. The application includes questions to determine whether applicants meet those minimum requirements for consideration. Those who meet the minimum qualifications should be prepared to take an online assessment test. This test determines which positions would suit the applicants best. Applicants who are unable to complete the form online or who want to apply to multiple stores should visit the service desk in a Kmart retail location for guidance. Applicants submitting applications to more than one store may want to consider their ideal location. If you submit more than one application, the first application will be removed from the system. For example, if you apply to a store five miles away from your home, and then apply with a store 10 miles away, the application to the store closer to your home will be removed. Kmart is a major retailer in both Australia and New Zealand and many residents of these countries find the retail chain to be a reliable employer. The company's National Office is located in Mulgrave, Melbourne and there are more than 180 stores in New Zealand and Australia. Applicants can visit Kmart Careers in Australia for information about part time, casual work and for career positions in both Australia and New Zealand. Just like in the Sears job site, you search for the job you want and then use the apply button to get through to the online application. Kmart job openings are varied and many offer great flexibility. Sears is an equal opportunity employer that keeps a strict drug-free policy. Applicants with physical or mental disabilities may find employment with the company if accommodations are not detrimental to the business. New hires should be prepared to take a drug test before beginning work.